Ubuntu is an open-source operating system (OS). This is usually popular on network servers. 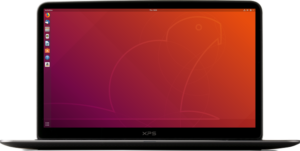 Ubuntu is available for PC, Laptop, Tablets, and Smartphones. So it is the best operating system for those who want to secure their database. So today we are going to describe how to install Ubuntu in your device. Here we are going to tell the step by step process to do this. In this article we are going to explain how to install ubuntu in windows operating system. As we have told you earlier Ubuntu is an open-source operating system so it is highly customizable as per your preference. It is the user-friendly operating system. Ubuntu is considered as one of the most secure operating systems. It is 100% immune to viruses. There is no risk of virus, malware attack on the system. Ubuntu has a community, where you can ask your doubts related to it. Also from the software store of Ubuntu, you can get tons of free software. So We think these reasons are enough to download Ubuntu In your device. A DVD drive or a USB Port to install Linux. A flash drive that can store atleast 2 GB. A DVD should be a standard 4.5 GB. Also, make sure the DVD has been never used. Go to the official website of Ubuntu. Then select the device for which you want to download the “Ubuntu”. Scroll down and click on “Download” after selecting the preferred version. Click on “Not Now, take me to the download “ Link. Wait till the downloading process start. Burn the ISO file onto a DVD. Then Partition your computer’s hard drive. Insert your DVD or Flash Drive in the device. Then install the installer perfectly. Now you have Ubuntu Linux ISO File which you need to install in your device. Click on “windows icon” which is on the bottom left corner of the device. Then click on “Power” and choose “Restart” Option. This will restart your computer. Then wait till the Linux installation Window appears. Once the windows appears it means restarting process has been finished. Select a Language and click on “Continue”. Then you will see another window with the title of preparing to install Ubuntu. Tik the option “download updates while installing Ubuntu”. And click “continue”. Doing so you will see an option to choose the region. Select the region and “continue”. Then select “Keyword layout” and continue. Then a Window will open. You have to fill your name, your computer’s name, Pick a user name, Then create a password and confirm the password. Then choose the option “Log In automatically” and click “Continue”. Once the process will complete you will see another window with the message “installation complete”. Then click on “Restart Now”. Then again a window will open with two options to choose your preferred operating system. Choose the “Ubuntu” and press “Enter” key. Now you have installed Ubuntu in your device. So this is the whole process to install Ubuntu in Windows device. So download Ubuntu in your device and make your device free from any suspicious attack.